-- this article has been FROZEN as of 9-15-06 and submitted for publication. Submit comments, corrections, suggestions to mike at mikebaird dot com. The online version of this article may be longer and contain more photos and resources than the printed version. * Do not print the text "(click thumbnail above to see full-sized version)"
* Do not print "...wallpaper version"
* Do not print "(A higher resolution print version for Natures Notes newsletter will be sent upon request to the Production Editor from the author)"
* Do not print "For CCNHA print publication only => uncropped 1476x1121 original .tif and enhanced .tif <= very large files"
The SLO County area of California is rewarded by the presence of many skilled and sharing local nature photographers. Many of the photographers interviewed for this article will be familiar to CCNHA Nature Notes readers, as they have exhibited their works before in the Morro Bay Museum of Natural History and related community programs. More and more everyday people are becoming interested in photography -- especially since the advent of low-cost high-quality digital cameras, and the ability to share photos and experiences across the Internet. Taking photographs can be a source of inspiration and an expression of one's artistic abilities. 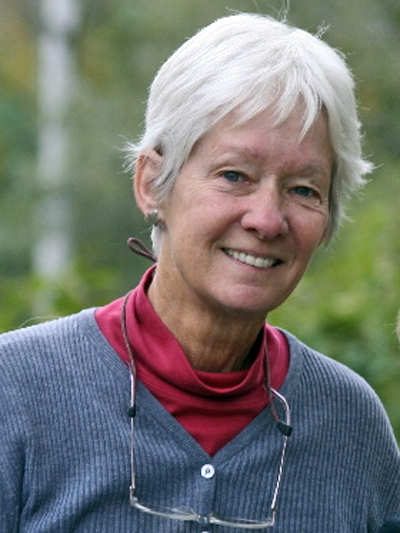 Many docents are now using photographs, taken by themselves or other docents, to help support their Adventures with Nature Walks, Living History performances, and related exhibits and activities. When we see a photo that we really like, we all want to know "how did the photographer get such a good photo?" Well, to help answer that question, I interviewed many of our local photographers, with reputations ranging from "beginner" to "worldwide expert," and this is what some of them said. 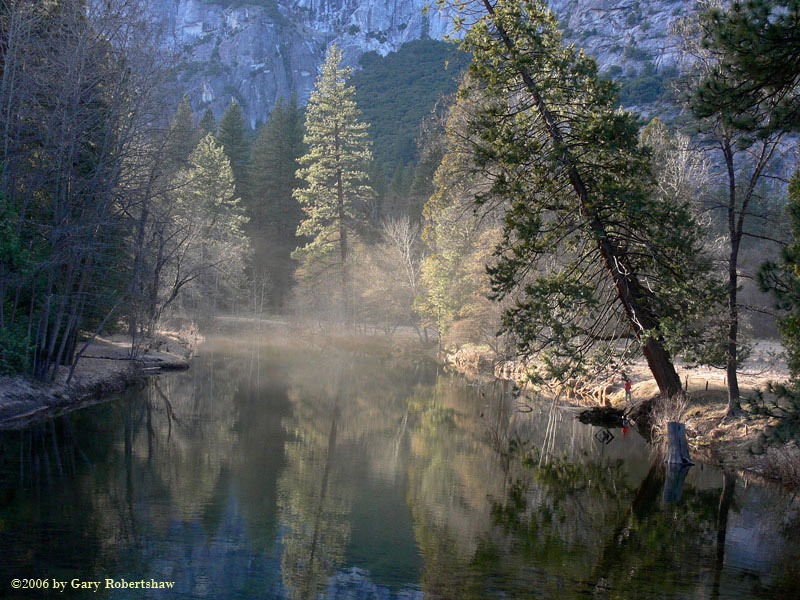 Joyce Cory, a State Park Docent that many of us know, and retired teacher, is new to digital photography, and has made great strides in a short period of time. If she is not performing Living History at the Spooner Ranch House in Montaña de Oro State Park, she is out birding and photographing. Joyce said, "I purchased my camera, a Panasonic DMC-FZ3 with a 12x zoom for the purpose of using the photos on my websites, docentjoyce.com and birdinglady.com. My camera is my constant companion. I am frequently updating my websites and need related photos, particularly on my Birding Lady Birding Blog at blog.birdinglady.com. Since my camera is far from 'state-of-the-art,' I try for interesting subject matter and the right light, as shown in my photo entitled Villa Creek. I prefer a balanced photo and when possible I frame a scene through vegetation. I have found that a digital camera comes in very handy for identifying birds. Seconds after I click the shutter, the photo is available to look at using the zoom review feature. I can't imagine how I ever got along without my precious camera." Joyce is being modest in her claims. In less than one and a half years she has learned how to take good nature photos, acquired two Windows computers on which she runs Adobe Photoshop Elements image enhancement software and Microsoft FrontPage 2003 web-crafting software. 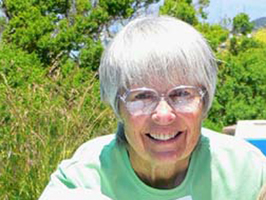 She maintains several websites this way, and is responsible for many of the highly graphic educational exhibits at the Montaña de Oro State Park Ranch House. You can contact Joyce Cory at docentjoyce at yahoo dot com. 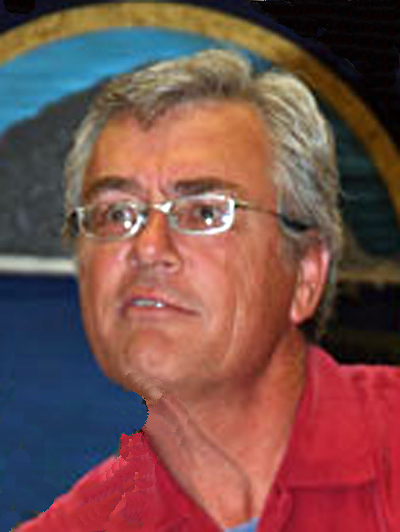 (1600x591 .tif version, optional for CCNHA print editor) Joe Dickerson has been a professional photographer for nearly 40 years, although nature photography is not how he makes his living. 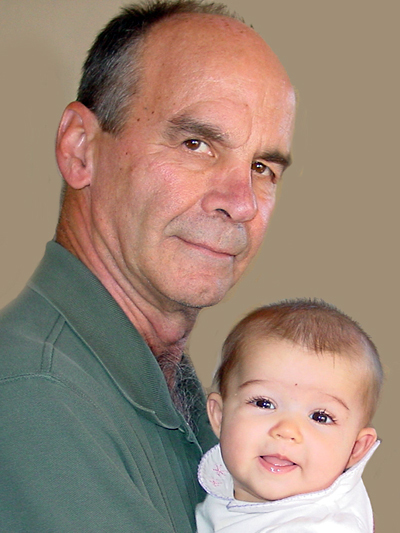 He has published extensively in Shutterbug and other photo magazines. He is a multi-talented individual who has even been known to serenade us at local Sierra Club camp-outs with his bagpipe music (photo by Gary Robertshaw). Joe discusses below his latest interest -- Shooting for Panoramas, A Stitch in Time. "Nature photography is a continuing thread that weaves its way throughout my photographic life. I mostly shoot film but have been shooting digitally for the past couple of years and really enjoy the versatility of the digital workflow. 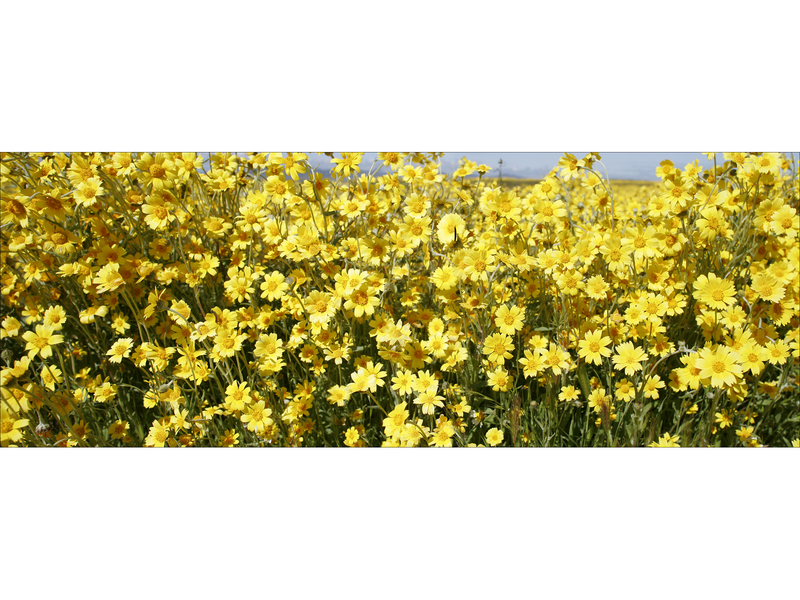 I have been fascinated with panoramic images for as long as I can remember but never convinced myself that I should spend several thousands of dollars on a dedicated panoramic camera. 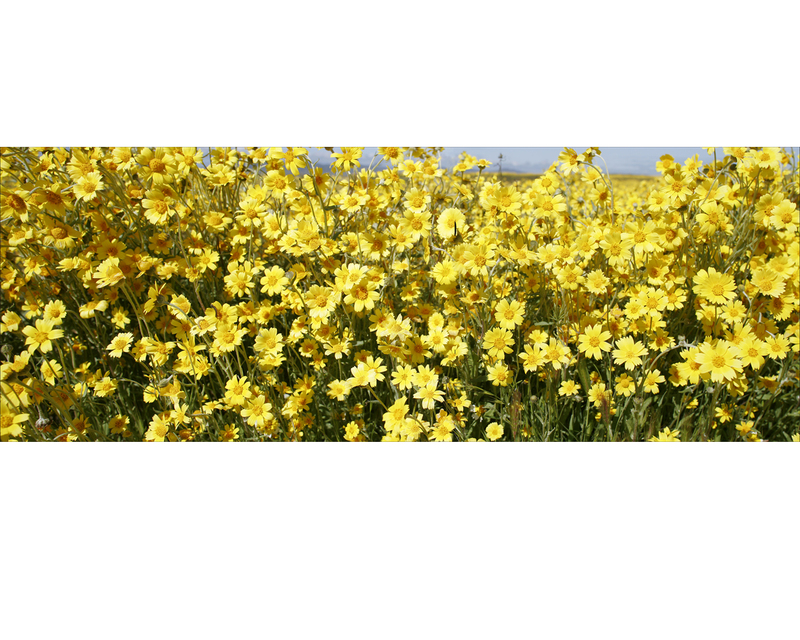 But now, with digital images, either shot on my digital SLR or on a film camera and scanned into the computer, I can easily create panos that rival images shot on the most expensive panoramic cameras. 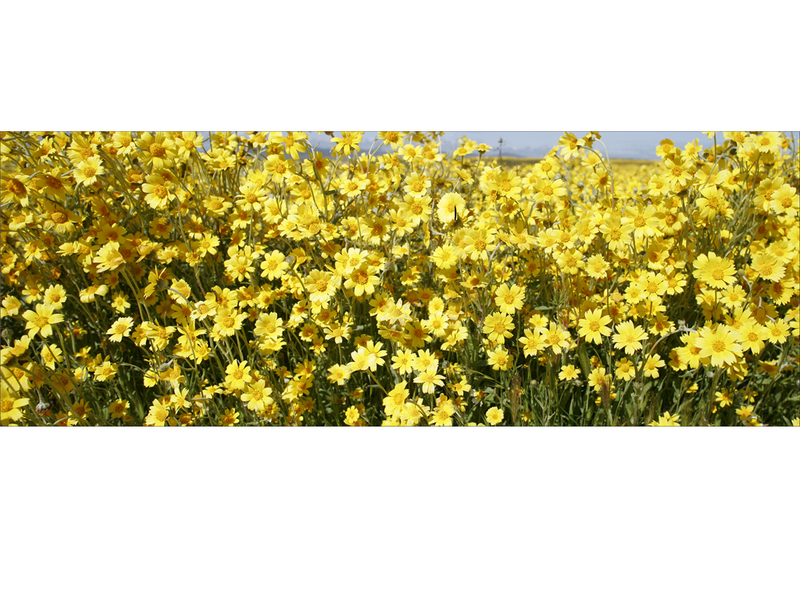 I use a fantastic software program called Panorama Maker 3 (just upgraded to version 4) from Arcsoft. This is the easiest and most intuitive software I have tried for stitching panoramas but there are several others on the market and of course you can also accomplish the same thing in Photoshop and many other image processing software packages. While there isnt space here to go completely through the step by step processing of a pano, let me share some things I have learned, mostly the hard way, about shooting images that will later be stitched in the computer. First, make certain that your camera is perfectly level. The easiest way to accomplish this is on a tripod using a bubble level on top of the camera. Bubble levels that fit your cameras hot shoe are available at most camera stores. My panos are usually from three to six images wide depending on the subject, and Ill frequently have the camera oriented for a vertical shot even though the eventual image will be a horizontal composition. 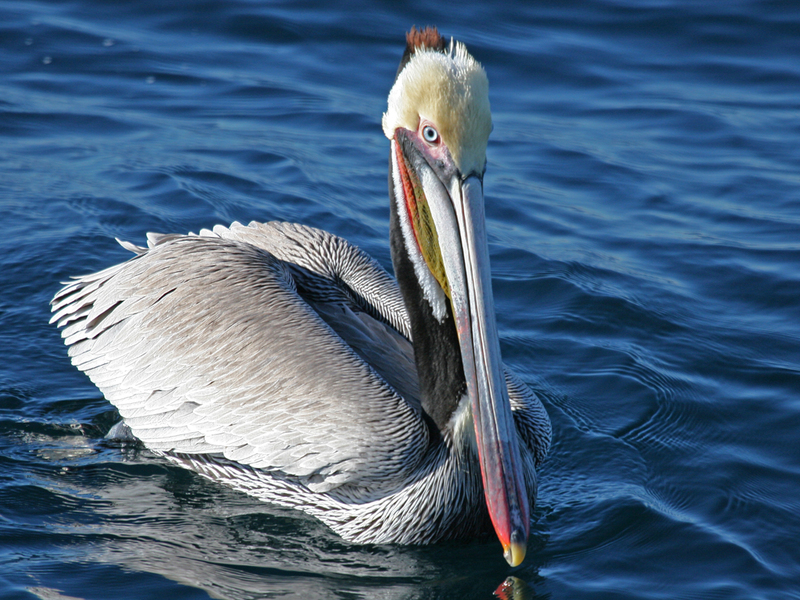 This allows you to use a telephoto lens if you prefer, as I did, for the white pelican image. 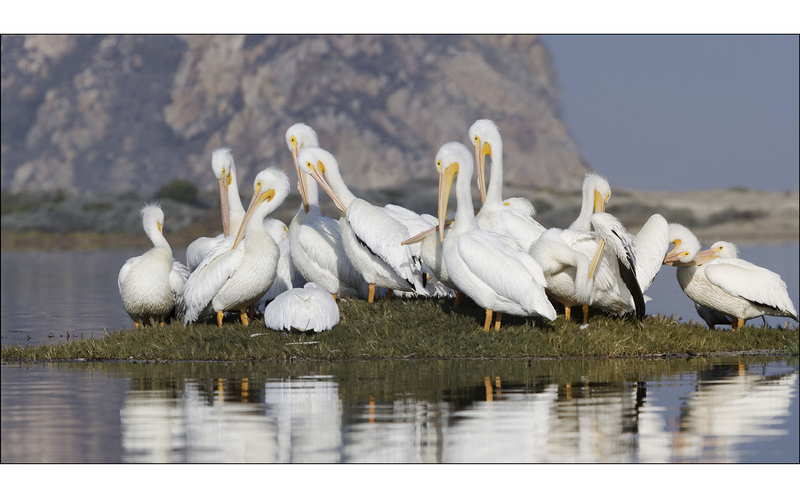 By the way, my photo entitled White Pelicans Panorama, was shot hand-held from a kayak with a 300mm lens, so a tripod is not absolutely necessary even though I prefer to use one when I can. Next, rehearse your panning several times if possible. I try to shoot the whole sequence at least twice just to be safe when the subject will allow it. Create at least a 20 percent overlap of the images, more if youre using a wide-angle lens. Generous overlap will make the stitching process much smoother regardless of the software youll be using later. Watch as you run through the panning that the horizon doesnt start to tilt at some point. This will make the stitching much more difficult and can result in total failure. I am usually an advocate of polarizing filters for scenic photographs but do not, I repeat, do not use a polarizing filter when shooting panoramas. Your sky will be uneven and the resulting images will not stitch together convincingly, if at all. Practice, practice, practice! By getting the procedure down on simple subjects that dont move you can more easily handle the challenging compositions when they occur. My last bit of advice is to be open to the possibilities. Just because youre doing panoramas dont limit yourself only to the grand landscape. Wildlife and close-up subjects are fair game as well. Ill look for you on the bay!" You can contact Joe Dickerson at JADPhoto at aol dot com. 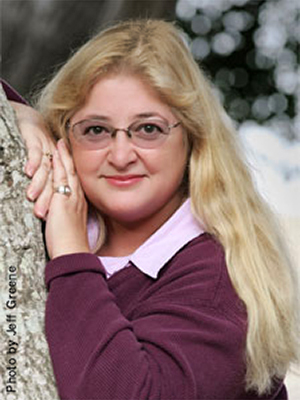 (A higher resolution print version for Natures Notes newsletter will be sent upon request to the Production Editor from the author) Carol DiNolfo, a System Engineer at the Jet Propulsion Laboratory for more than 22 years, escaped from L.A. in 2002 to enjoy the Central Coast lifestyle. A serious amateur photographer and Photoshop pro, Carol focuses her Canon EOS 20D on the scenic landscapes of this beautiful area. Her images are on display on her website at caroldinolfo.com and at the Gallery at Marina Square on the Morro Bay Embarcadero. Carol has this advice for aspiring photographers: "In photography, light and shadow are everything. The best time to photograph is usually in the early morning or late afternoon, when shadows are long and soft, and the light glows in shades of yellow and pink. It takes longer to expose a photo in these few golden hours than it does in the bright sun in the middle of the day. To capture the scene in crisp focus you have to make sure the camera does not move as you press the shutter. Unless you happen to have image-stabilized technology in your camera gear, hand-holding the camera is not going to give you satisfactory results. For tack-sharp images, it is essential to steady your camera on a tripod or to place your camera on a solid platform, like a table, wall or fence. 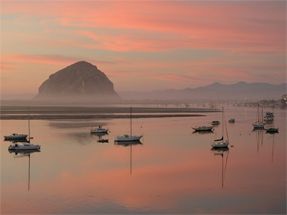 One of my favorite local scenes is Morro Rock basking in a gorgeous sunset. Whenever I think a good sunset is developing, I grab my tripod and my camera gear and rush over to my 'secret' spot  the landing at the Morro Bay Museum of Natural History  and take pictures until the light is gone, as in my photo entitled Last Light. 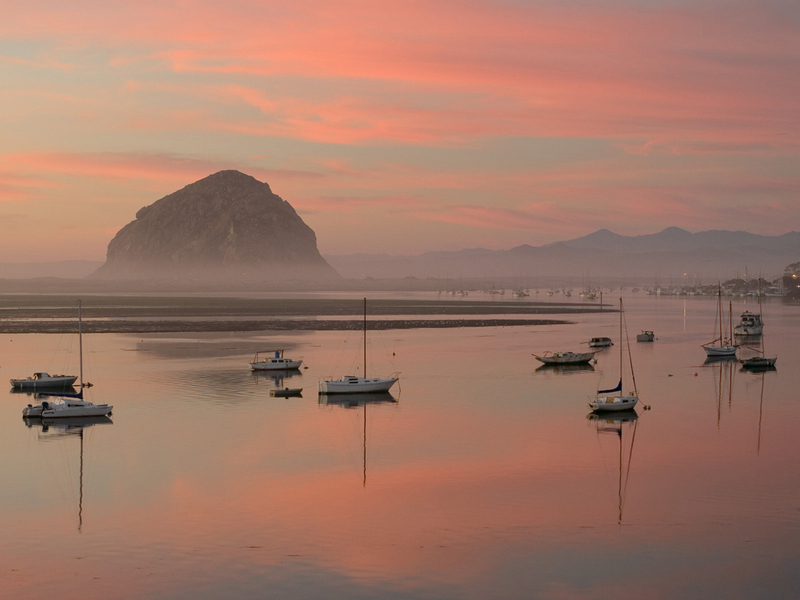 Here, mist drifts around Morro Rock as the clouds turn pink in the sunset and reflect in the calm waters of the bay filled with moored boats. Taken with a Canon EOS 20D, 28-135 mm zoom lens at 48 mm, 0.4 sec at f/11, ISO 200." 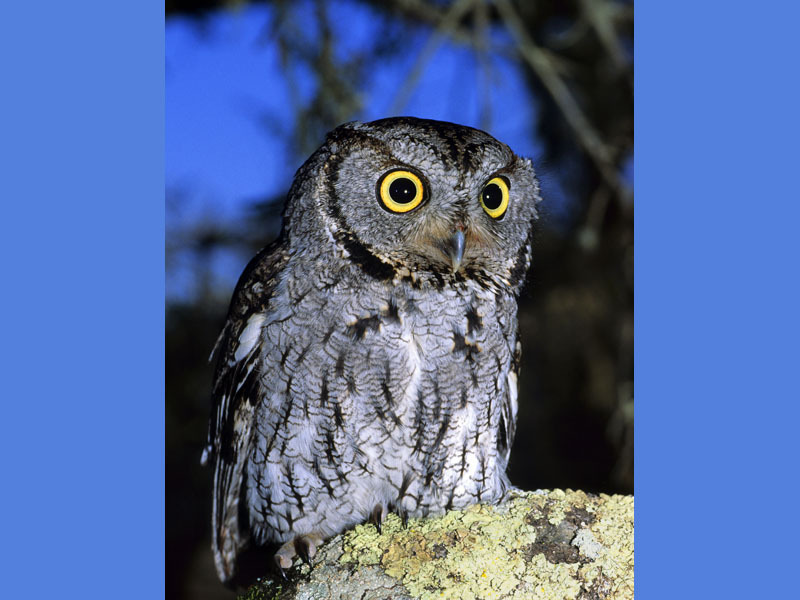 You can contact Carol DiNolfo at silverdove at charter dot net. 1600x1200 wallpaper version Rich Hansen, another well-known local nature photographer, has exhibited his photos in many events and functions at the Morro Bay Museum of Natural History and elsewhere nearby. He is a retired Food & Drug microbiologist who started to get serious about photography in 1976 when he bought his first Single Lens Reflex camera, a Canon FTBn. He has been on the Central Coast since 1980, where he met Joe Dickerson and George Lepp and has been assisting and co-leading photography classes with them for over 20 years. 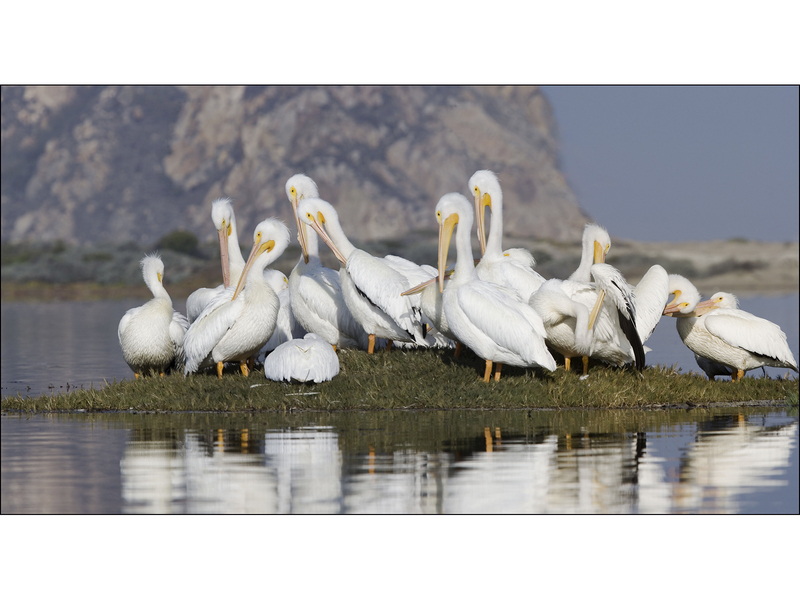 Rich's bird and nature photography has graced the pages of many magazines including: Bird Watcher's Digest, Birder's World Magazine, National Wildlife, Ranger Rick, Smithsonian, and Sunset. 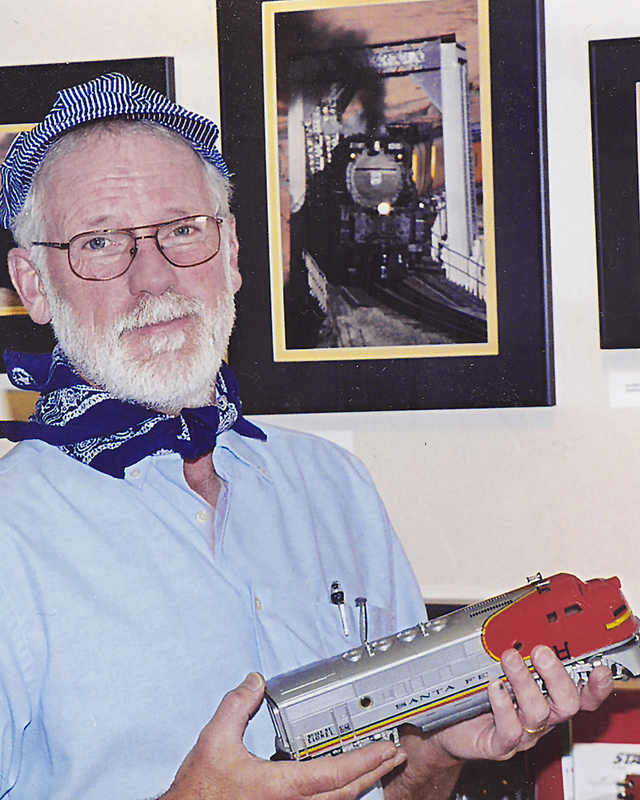 Lately Rich has been indulging his passion for trains by following and shooting rail activity in the ten Western States. 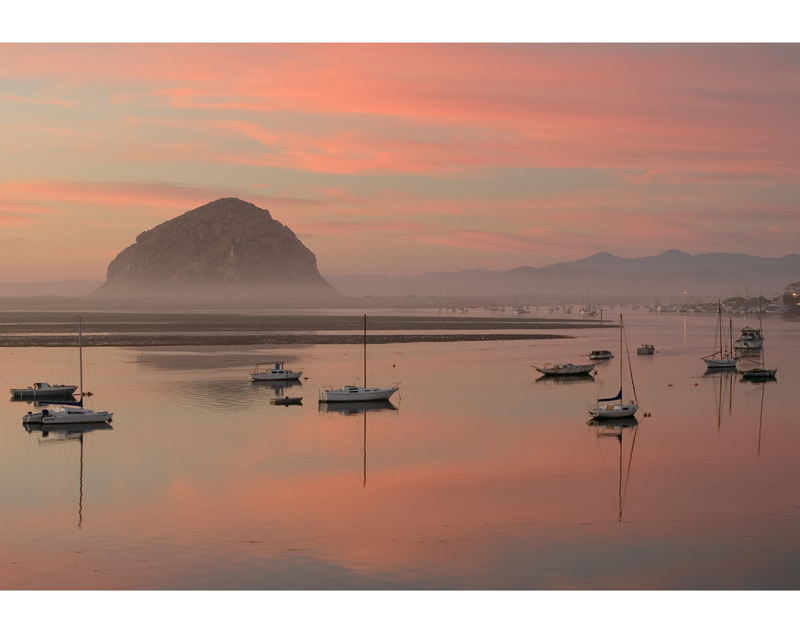 The fact that Rich Hansen loves to talk about his photography while paddling on Morro Bay with the Santa Lucia Chapter of the Sierra Club is one of the clear side benefits to those of us aspiring photographers who also kayak. Rich related the following advice on our most recent outing: "I try to keep two things in mind while Im on a shoot. Keep it simple, and dont put your camera away just because the weather has turned a little foul. I have lost count of how many times I have been to Yosemite. And, like everyone else who has brought a camera with them, I have shot El Capitan, the Falls and Half Dome time and time again. As result, I have started looking for images that you might guess were taken in the Park but do not scream 'Yosemite' like the previous icons do. On this particular morning while shooting Yosemite Mist, low clouds were just starting to break after raining most of the night. So I took off for the nearest meadow with the idea of getting some macro shots of rain drops on leaves, flowers, coyote whiskers, whatever. The bad news was I had left my tripod in the room. Image Stabilizer (IS) lenses are great and give you a distinct advantage over non-IS, but there is still no substitute for that solid camera platform. Speaking of equipment, I took this photo with my then non-IS 70-200mm f2.8 attached to my Canon 20D at 1/60th of a second at f22. My ISO was set at 100. Here are a few considerations when shooting on overcast days: First, never include the sky in your shot. If your main subject is properly exposed, the sky will burn out and will distract the viewer from your intended composition. Second, look for a picture within the picture. Some of my favorite images of Yosemite National Park are a small rapid in Dana Creek, a flowering branch of Dogwood, and a single red Maple leaf. Okay, now you have your images from your trip. There are a few more considerations for optimizing your images back home on your computer. First, make use of the saturation slider in the Hue/Saturation adjustment layer by reducing the amount of magenta and cyan in the file. There is almost always a lot of these two in images shot on overcast days. This may not be noticeable on your monitor but will certainly show up in a print if not corrected. Second, do not over sharpen. The one major give away of a digital image is over sharpening. All adjustments to an image should be subtle -- noticeable, but subtle. I look forward to seeing you out and about with your cameras. I can most readily be found on the bay in my kayak or skulking along the nearest railroad tracks with my radio scanner." You can contact Rich Hansen at richimages at tcsn dot net. 1600x1100 wallpaper version Marlin Harms is a part-time birder, flower-lover, and photographer who, for years, has tried to cram as much natural history photography as possible into available time. You can't be serious about nature in Morro Bay without having run across Marlin more than once! He has exhibited photos in a number of local shows and has had a few images published. 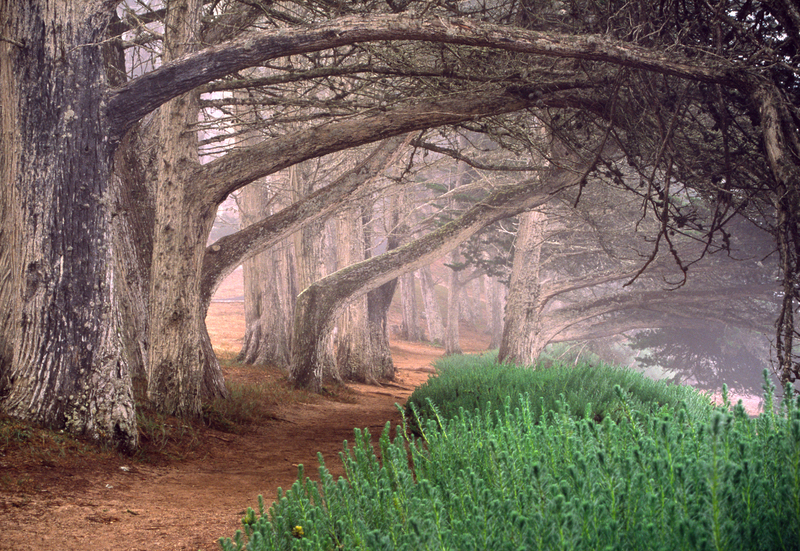 Marlin explains how he created one his favorite photos, entitled Windy Cove. "My methods and the resulting photo can show a few pointers for budding photographers. 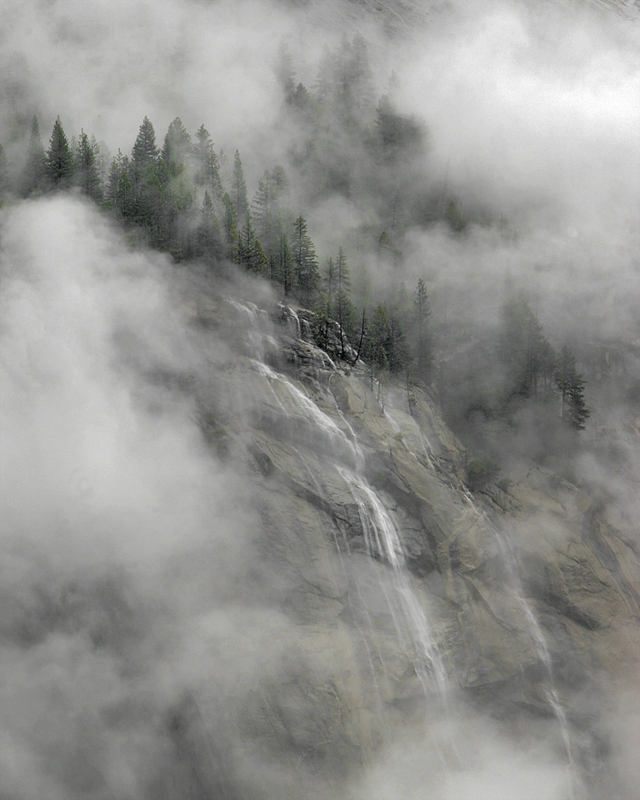 I had seen a similar photo -- inspiration takes many forms -- and had planned to shoot this during a foggy day. Patterns (the descending row of trees, in this case) are particularly appealing to us visually. This was back in the days of film and I used a contrasty film (Velvia) to bring out the pattern as it fades into the consuming fog. This is a very familiar site to many of us (just north of the Morro Bay Museum of Natural History), but many people do not recognize it. One has to find ways to meet the challenge of making a fresh and appealing image of a familiar site or subject -- I chose a lower-than-eye-level point of reference and used a zoom lens, varying its field to try to crop out anything not essential to this photo. That may sound strange, but less (complicated) is better. I used a tripod, a very valuable piece of equipment when using significant depth of field which, in this low light situation, meant a long exposure. Dont be fooled by using a high ISO on your digital camera -- unless you will be content with a very small photo -- because a high ISO will generate a lot of 'noise' (but see also in this article that Garry Johnson has a comment on using high ISOs). Probably many viewers do not realize there is an endangered species in this photo -- the green plant in the foreground is Sueda californica, which grows in very few places other than the Morro Bay estuary. Though not the sole focus of my photography, I am always glad when I can point out a conservation need, i.e., when my photography can be useful as well as ornamental. A certain amount of luck never hurts -- the ethereal feel as the fog fades out in the distance is greater than I had planned." You can contact Marlin Harms at MCTHarms at aol dot com. 3000x1997 full-res version for use only by the CCNHA print editor Garry Johnson became interested in photography as a student at Compton College, where he won the Jean Landon Taylor award for outstanding photography. He went on to study photography at Art Center, LA, and earned an engineering degree at Cal Poly. His creative work over the last 50 years has earned him many awards in various fields of photography. 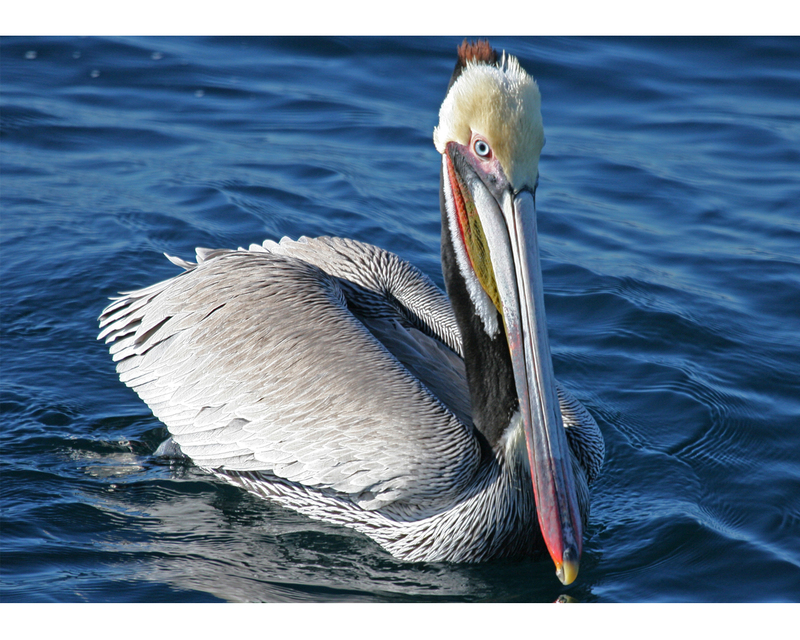 He is now retired from Lockheed, Sunnyvale, CA, and lives in Morro Bay pursuing his true love, using digital photography to capture the beauty of nature along the Central Coast of California. Garry teaches a very popular digital photography course, which many of us have taken, for Cal Poly OSHER and Friends of San Luis Obispo Botanical Garden. 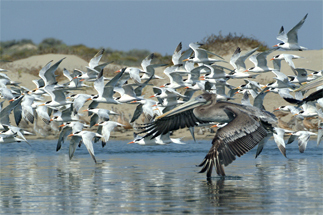 Garry says that "The Morro Bay Estuary is one of my favorite places to take pictures, from a kayak, of birds in action. I use a Fuji S2 pro camera with a Sigma 500mm (720mm) lens. The best time to take bird pictures on the estuary is from early morning until noon while sun light is coming from the east, and around high tide is best. Without using a tripod to capture a sharp focus of a fast moving bird, I will generally set a higher ISO speed of around 800 to 1600 in order to get the shutter speed around 1/2000th to 1/3000th of a second. Anything less then that, the pictures may not be sharp. 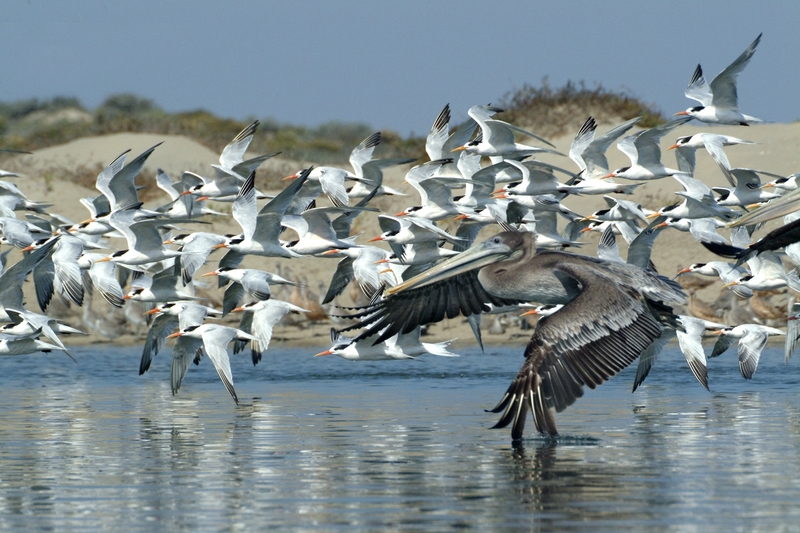 The Fuji camera has the CCD sensor that does not have as much 'noise' at the higher ISO settings as a CMOS sensor, which is evident here in my photo entitled Brown Pelican with Terns. Because the birds in flight are moving so fast and you have to react instantly to get that rare bird picture, there isnt time to use manual focus and the mode setting is generally set on 'S' to be able to adjust the speed quickly. 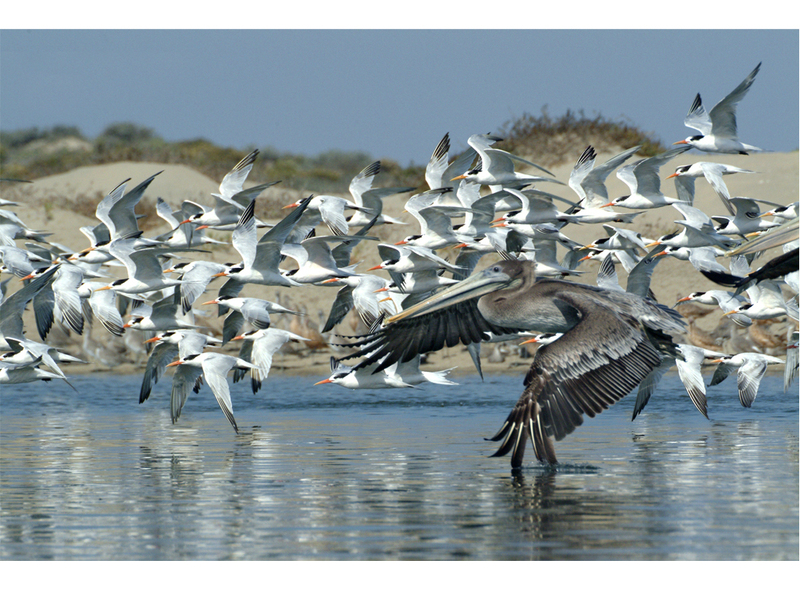 I recently published a book on 'Morro Bay Sunsets' and I am working on another book entitled 'Birds on the Morro Bay estuary. ' You can contact Garry Johnson at garryjohnson at charter dot net. 1600x1200 wallpaper version Teddy Llovet found a passion for nature photography while recovering from a disability five years ago. 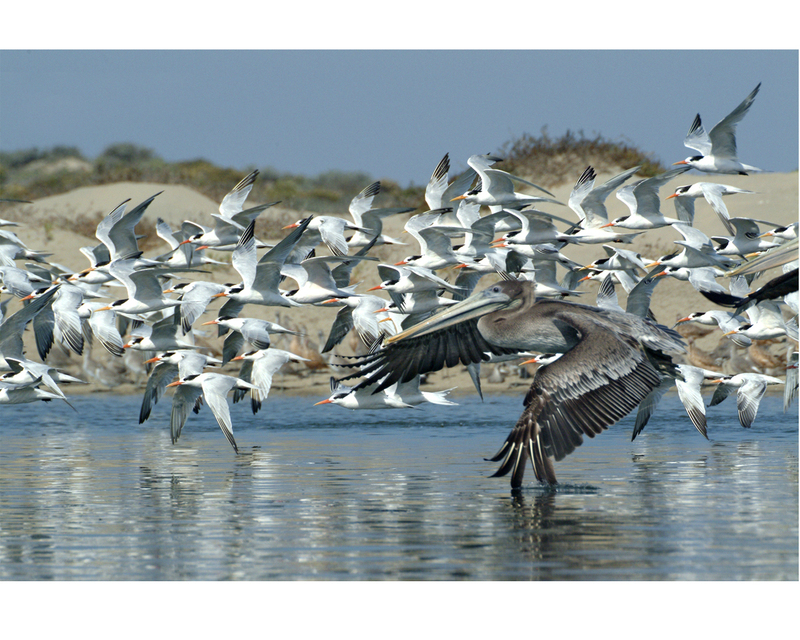 Eager to share the views through her lens, Teddy began showing in local galleries, the Morro Bay Museum of Natural History, and in her own show in 2003 honoring the birds and beauty of our local area. Teddy exclaims, "I'm so lucky to live here! 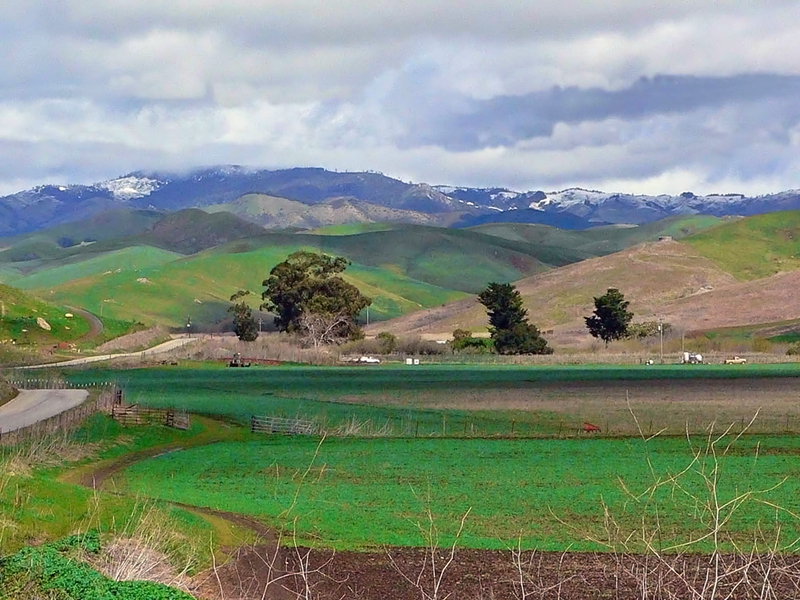 After completing beginning and intermediate photography at Cuesta College in the fall of 2000, I was ready to purchase my Canon Rebel 35mm SLR film camera with a wide angle lens. 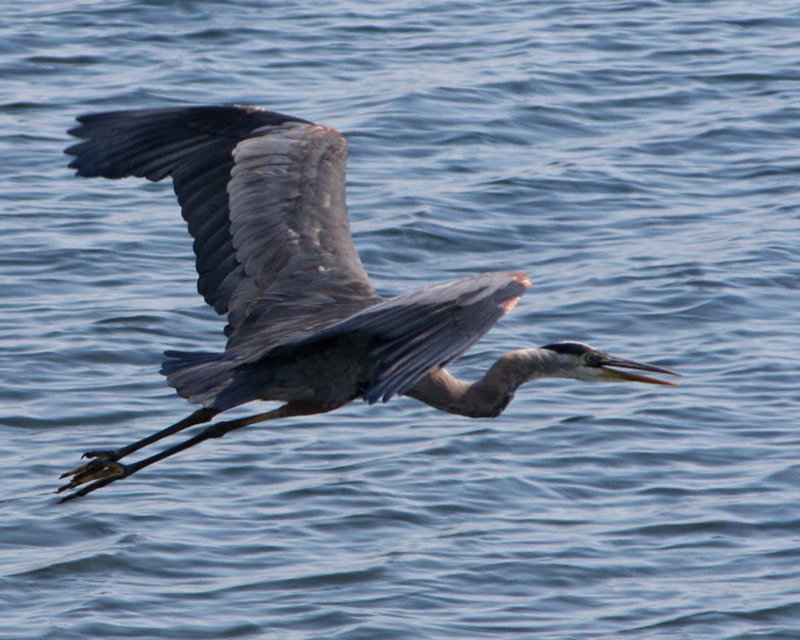 My love of birds prompted me to invest in Canons 75-300 image stabilizer (IS) telephoto lens for action shots. I wanted to move freely without bulk of equipment and be ready for the flight. The IS lens gives me that handheld capability. I eventually acquired a tripod and shutter release cable, but my IS telephoto is my ready companion. In March 2005, I took the leap of faith into digital photography with Canons Digital Rebel, bringing my IS telephoto lens along with it. Now its just more fun than ever and I use my sports mode freely. My iMac computer with Adobe Photoshop 7.0 extends my enjoyment with the creation of brochures and cards for friends. I have never digitally altered a picture that I offered for sale. I appreciate the natural setting around these beautiful birds. In the future, I may erase a twig that bothers the eye but, mostly, I want to continue to bring forth what nature sets before me. 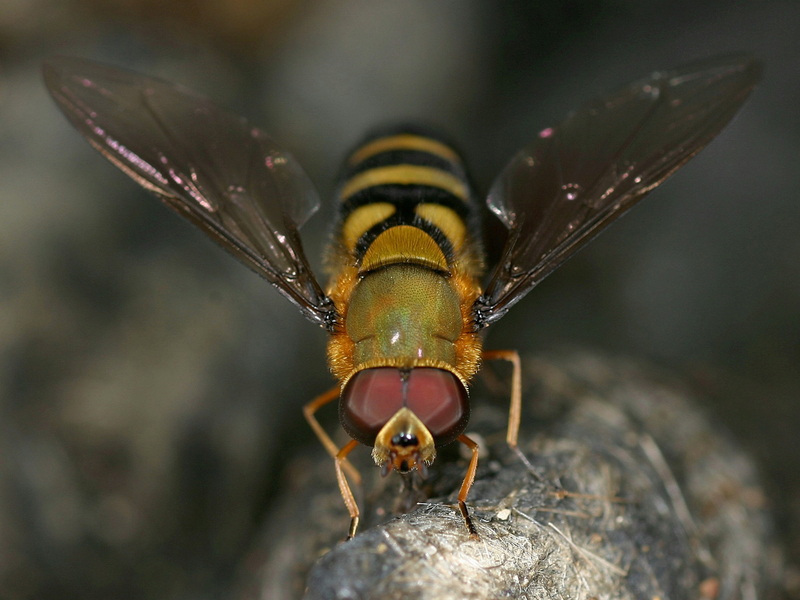 My gifts have been an eye for composition and the patience to spend hours in the field. I once waited on bended knee for 20 minutes to photograph an approaching fishing Great Egret. My daughter chose that image for her Christmas Peace card in 2001. When I have more available time, Ill take a digital photography and Photoshop course and study the techniques I need to understand more about. For now, I treasure the time I can just be out there waiting for another special moment and there are many. 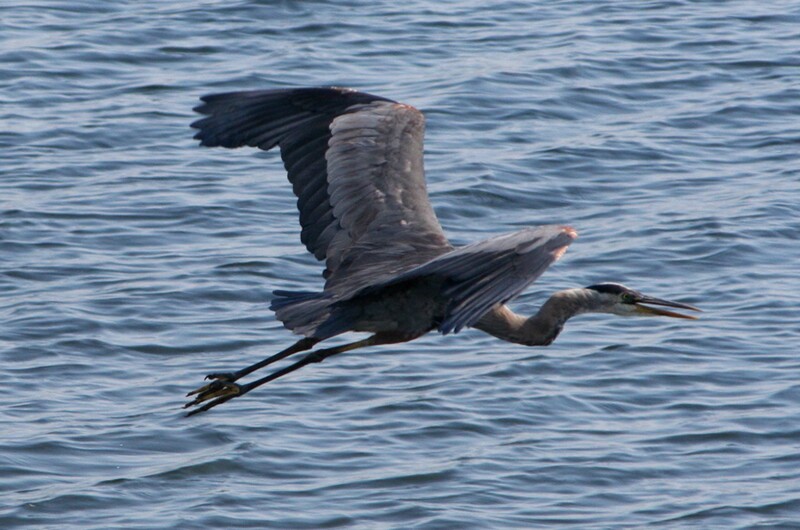 Here is one of my special moments, taken near Morro Rock in 2005 of my favorite bird, entitled Great Blue Heron." You can contact Teddy Llovet at bluheron at earthlink dot net. For CCNHA print publication uncropped 1476x1121 original .tif and enhanced .tif Cleve Nash can often be encountered at Morro Rock photographing the peregrine falcons and sea otters. 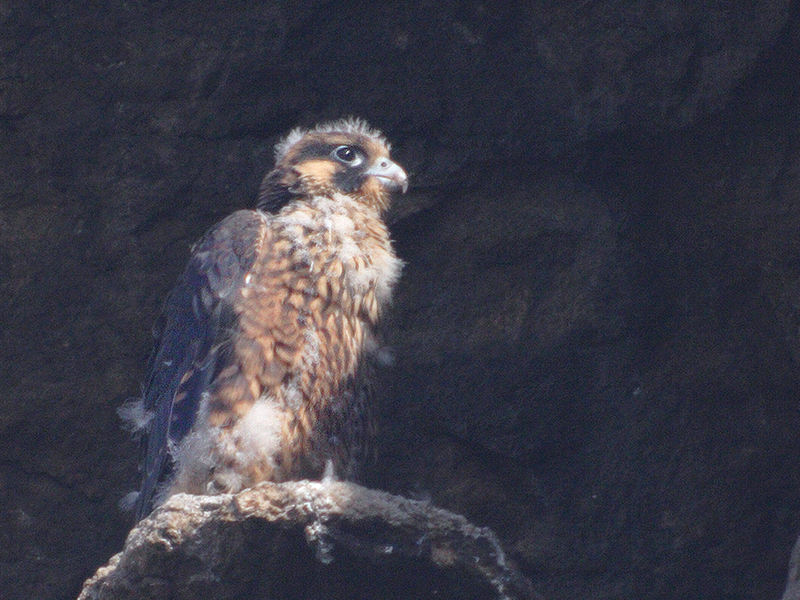 Cleve shares his photos generously online at his clevenash.com website, and they are quite well known, especially amongst the Morro Rock Peregrine Falcon crowd at morrorockperegrines.com. I asked Cleve what kind of camera equipment and skills one needs to take such good photos of subjects hundreds of feet away -- something I call extreme-distance photography. Cleve said, "In my humble opinion, one can't take really good pictures of individual creatures from hundreds of feet away, at least not at sea level in moist, moving air. The more such air there is between camera and subject, the more focus softening and distortion will occur. Also, distance magnifies camera shake. At extreme focal lengths, even minute vibrations blur the image. However, one can get acceptable results." When asked whether one can use a telescope to take pictures, Cleve replied, "Absolutely. I've seen surprisingly decent photos produced by sticking a point-and-shoot up to the eyepiece of a spotting scope. But I think best results are obtained by using a good telescope in prime focus with an SLR. Aperture is fixed, and shutter speed must be set. At distances exceeding 100 feet, lighting can't be controlled, even with a Better Beamer Flash Extender. But usually the biggest challenge is manual focusing. A large, bright viewfinder helps, and there are devices such as viewfinder magnifiers and digital techniques and equipment for enlarging images to adjust focus for the next shot. A good tripod, remote shutter release, and mirror lockup will help to minimize camera shake. Then again, as mentioned above, there are the atmospherics that wreak havoc with focus. Cool, calm mornings are best. 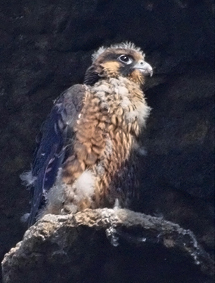 My photo entitled Peregrine Falcon Chick demonstrates the limits of quality when shooting through 2120 mm of glass at f/20, 1/200 sec. ISO 400 from 170 yards away. There is no substitute for getting close. But when, as in this case, you can't get closer, you learn to accept image softness and just appreciate a closer look at the bird. I plan to continue to work in social services quality assurance until December, 2007, when I will retire to photography, videography, riding bicycles, and many other ways to avoid honey-do jobs." You can contact Cleve Nash at cleve.nash at gmail dot com. 800x600 wallpaper version Gary Robertshaw has been a photographer most of his life. It is always a treat to run into Gary at Morro Rock. Gary publishes and, in the spirit of community, generously shares most of his magnificent photos at pbase.com/roberthouse. Gary's photo entitled Merced River is a product of many years of experience, as he explains... "At age 10, I remember wandering around San Francisco with my Brownie camera. I remained active in photography through high school. Later, the lack of a darkroom kept me from getting too involved in photography. But in the mid-1990's, consumer-priced scanners, photo printers, and the availability of Adobe Photoshop renewed my interest. Finally, I could do 'darkroom' work without having a darkroom, and get closer to what I wanted from the photos. Not long after that, digital cameras began to improve, and as soon as I found one I could afford that gave a decent printed result, my film cameras found the shelf and never left. 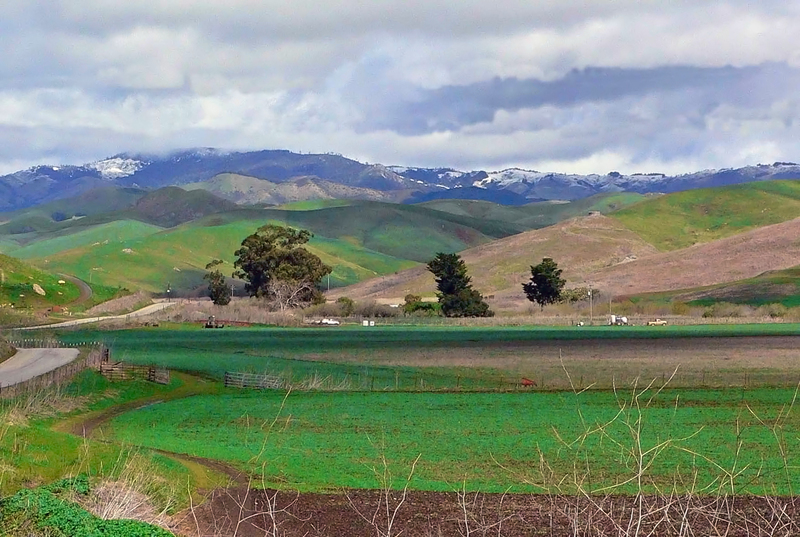 The Central Coast is really a photographer's paradise. 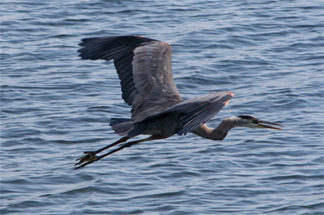 Opportunities for nature photography abound as we are surrounded by beautiful scenic areas and wildlife. Capturing that real-life beauty in a two-dimensional photo can be a challenge, but there are a few fairly simple things that can make a big difference in your photos. Get up early; stay out late. Dusk and dawn lighting, as well as the angle of the sun in the earlier part of the morning and later part of the afternoon, can make the difference between a technically-nice, but 'blah' photo and a photo with dramatic impact. I've been out in Yosemite Valley in mid-summer-full-blown tourist season, at daybreak, and been the only human I could see or hear in any direction. Get out of the car. It's easy to want to grab your camera, hop out of the car, assess the scene, and decide whether there's anything to photograph or not. You'll never find out if you do it that way. Grab a jacket, lock the door, and walk. You'll be amazed what you find that you didn't notice from that 'convenient' location next to your car. Take your time. Every animal hides when they see you coming. Walk slowly, and take in your environment... you're probably walking right by a great photo. When you find a nice spot, sit down. Be quiet. Watch. When things become 'normal' the wildlife goes back to their normal behavior, but it may take a while, so be patient. Nothing is less conducive to getting good photos than a photographer in a hurry. Learn to use the camera's basic settings. Even the simplest digitals usually have exposure value, or 'EV' settings. Learn to use them; they can make a huge difference, especially when you're out in that morning or afternoon light. By all means, if you know how to use f/stops and shutter speeds to your advantage, do it; but if not, or if you don't have time, the EV settings are a good quick way of adjusting the camera's exposure to your liking. Shooting in more dramatic lighting is more difficult, but the camera doesn't know this; those settings are the way to tell the camera what you want. Give yourself some 'photo time.' Give your family or friends a break; if you're out with them, don't expect them to stop at every photo-op you see. Sure, take your camera, and use it, but make your priority enjoying your time with the folks you're with. Then, when they go off to watch TV, etc., grab your camera and head on out. Now you can go as slowly as you want, where you want, and give priority to getting some good photos. Use photo editing software. It is very seldom that a camera will produce a photo that can't be improved with just some basic adjustments in, for example, Adobe Photoshop Elements. These editors contain 'quick fix' solutions as well as more advanced adjustments like levels and sharpening, so you can start with quick fixes, and if you like the results, maybe learn a little more as you go. Crop out the unnecessary parts of the photo; level the horizon or vertical subject, it makes a big difference. It will be worth it. Don't blame the camera. The simplest camera can produce excellent photos in the 'right' hands. 'Right,' in this case, doesn't necessarily mean 'expert.' It's downright embarrassing for a photographer with a backpack full of fancy equipment to have their eight-year-old use their old camera and get that photo that everyone's raving about, but it happens. Don't get mired down in 'equipment lust.' Remember it's the photo that matters, not what you used to get it. The 'soul' of the photo matters much more than technical perfection. While I love nature photography, my interest doesn't stop there. I enjoy a challenge, and I enjoy variety. Thus, if you don't find me around the Central Coast taking some sort of nature photos or chasing some of the local wildlife, you may find me in Yosemite or in the desert. On the other hand, I may be at Laguna Seca Raceway, or shooting photos of the local surfers, or at the Live Oak Music Festival. Browse through my photo galleries at pbase.com/roberthouse. My camera of choice for several years has been one of the 'ultrazoom' models, currently a Panasonic Lumix FZ-30, an 8 megapixel model with a 12x optical zoom range. While I used 35mm cameras for many years, the ultrazooms didn't exist until digital cameras came along, and once I discovered them, 35mm-like cameras such as digital SLR's lost their appeal to me. No more giant lenses and backpacks full of equipment, the FZ-30 goes with me everywhere, to the top of the Pinnacles National Monument's High Peaks trail to the top of Yosemite's Half Dome. While I might use small add-on telephoto converters for Morro Rock's peregrines or other distant subjects, the zoom range of the camera covers most of what I need most of the time. And since it's a 'stabilized' lens, I seldom need to carry a tripod. The camera gives full manual control of all settings, and while there's a tradeoff in image quality from the larger DSLR cameras, for my purposes, it's more than worth it. I can still enjoy the activities I choose without having the camera and its 'necessary' attachments bog me down." You can contact Gary Robertshaw at gary at rshaw dot com. 800x600 wallpaper version Dennis Sheridan is another local icon, a native Californian who grew up in Arcadia. It would be the unusual local nature buff who has not encountered one or more of Dennis' innovative presentations featuring astounding photos and often accompanied by live exotic insects. 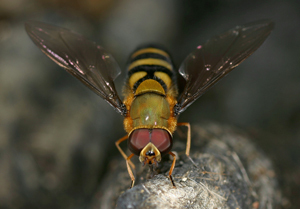 Dennis graduated from Cal Poly Pomona with a degree in biology, specialty entomology. 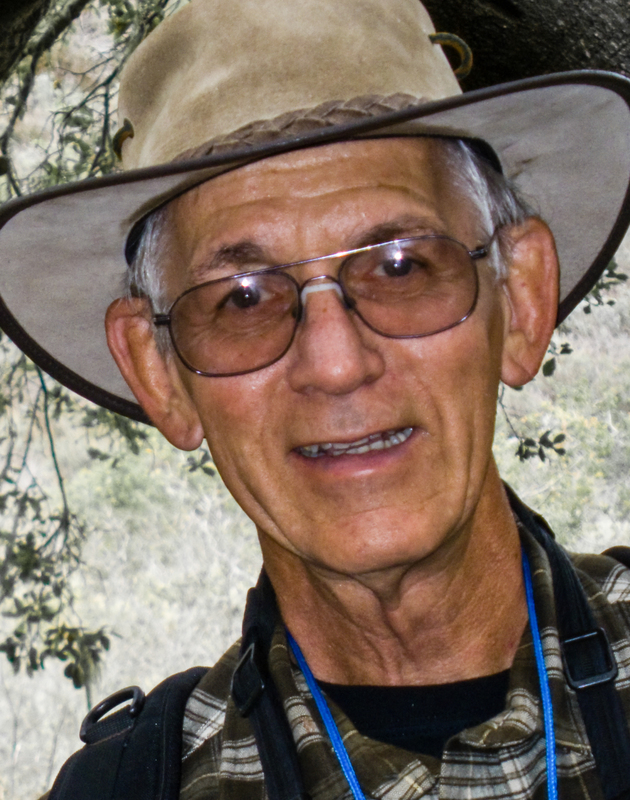 He moved to Morro Bay in 1974 and began a career in photography, concentrating on birds of prey and native wildlife, as well as fungi, lichens, insects, wildflowers, and California scenery. 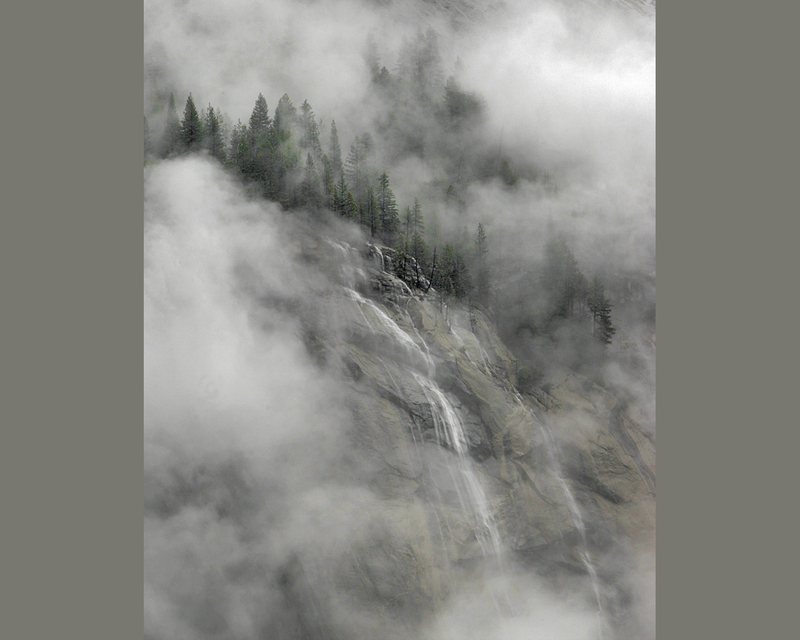 Dennis has traveled throughout the Western United States photographing nature, and in recent years has expanded his horizons to Alaska, Canada, Mexico, Europe, Costa Rica, Chile, Ecuador, Belize, Peru, Australia, China, New Zealand, Indonesia, Malaysia, Borneo, Nepal and East Africa. 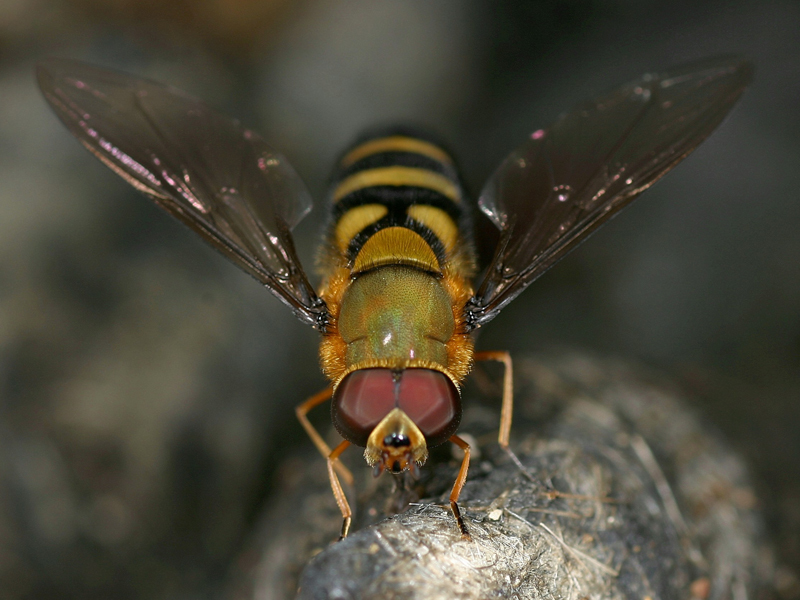 His animal photographs show an amazing attention to detail, and he does fine quality macro photography of very small subjects. He also does photographic shoots for non-profit and commercial clients. Dennis has published extensively, teaches photography classes, and contributes his photography and naturalist services to many societies and institutions. Learn much more about Dennis' work at dennissheridan.com. I caught Dennis in between two hectic field assignments, and was fortunate to coax the following advice from him. "I recently switched from shooting slide film to digital. I am a Canon user, and have been for more than 20 years. I use the Canon 20D, and I use telephoto and macro lenses, image stabilization and add flash with either macro flash brackets or teleflash. While my focus originally concentrated on wild birds and macro subjects including fungus, plants, reptiles, insects and arthropods, I am increasingly interested in photographing people and landscapes. A photographer is an artist, and should be open to changes in concentration and technique, and I have changed just about everything I originally started with -- techniques, ideas, camera, lenses, and choice of subject. As a result I am constantly learning about new areas in photography, and I would have to say that I have learned something from nearly everyone I contact in this regard. I also teach whenever I can, and find that this also influences my thoughts, leading in new directions. Practical advice from me would be to shoot many images of the same subject. While this was expensive 'insurance' with the film camera, it does not cost anything extra with the digital camera. I have some trouble getting rid of my in-camera duplicates obtained in this way, so I would also advise a heavy editing effort, even though it takes time. My love of photography has resulted in very large files, and time spent up-front is time saved later on by being distracted with too many of the same pose. 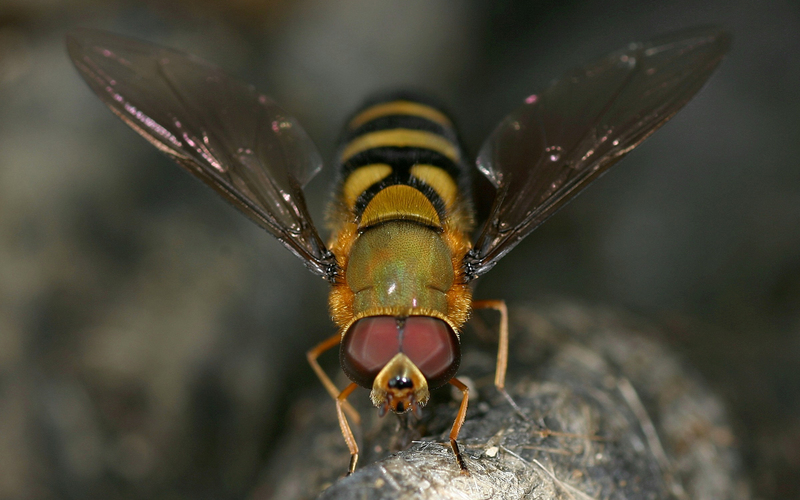 Another thought involves the macro and animal photography that I love to do. The animals are typically trying to escape or hide, which poses an extra difficulty. When I have captive animals to photograph I try to re-create a natural looking background for them. This involves knowing where the animals live, and may require some hunting around for appropriate rocks, leaves, dirt, trees or other natural items. The animals themselves are not restricted from movement within the background, so it is important to be patient in waiting for a good pose and quick to take advantage by clicking the shutter. With non-captive animals found in the wild, it is still important to keep foreign materials out of the picture, and it may be necessary to clean up the environment to make the setting seem more natural. Photoshopping out the distractions is not always quick and it is not usually undetectable. My main skills are not in computer operations, they are in photography, biology and natural history, so I try to get the photograph right in the first place. With small macro subjects the most difficult task is to get a good pose from a small animal, such as a ladybird beetle. The background is very important to show the natural history of the animal. With a larger animal, such as a lion or bird or even a mouse, if the animal is free to move it may not stay around long enough in photographable pose to get the job done, so not all of these encounters are successful. In addition, some of the animals may pose a danger to the photographer, which usually makes the photo shoot a whole lot more interesting! People pose a completely different challenge, particularly if you dont know them or speak their language. I try to establish a connection with people I want to photograph, so I learn a few new words, smile and am certainly interested in whatever they are doing, and ask them with hand signals if they would be willing to be a subject. This works very well, and I never pay for photographing a person. 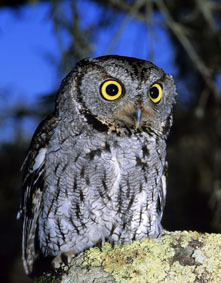 One of my favorite photos is this Western Screech Owl, which I photographed nearby in the Los Osos Oaks State Reserve." You can contact Dennis Sheridan at dennissher at sbcglobal dot net. 800x600 wallpaper version Greg Smith, as Superintendent, Coastal Sector of California State Parks, manages the State Parks from Avila Beach north to Highway 46. 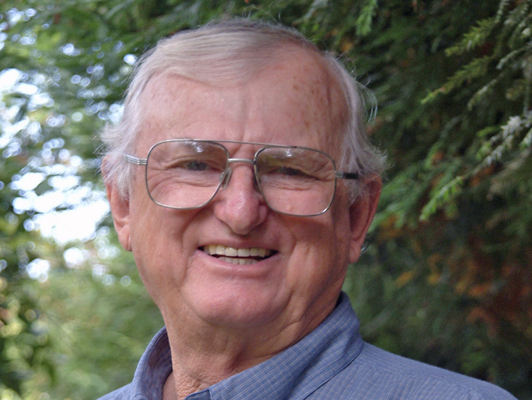 His tenure with the department started in 1978, and as an ecologist he developed an intimate knowledge of the resources in these parks. It would be a rare CCNHA Nature Notes reader who has not heard of Greg Smith or some of his magnificent photo work. As an avid landscape and wildlife photographer, Greg has been able to take advantage of the outstanding resources found on the Central Coast. 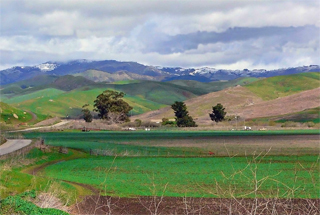 For the past 32 years he has had the opportunity of exploring San Luis Obispo County and sharing its secrets through his photographs. Many of Greg's bird photos are published on Mike Stiles' SLO County Birds Photo Gallery and the Morro Coast Audubon Photo Gallery. 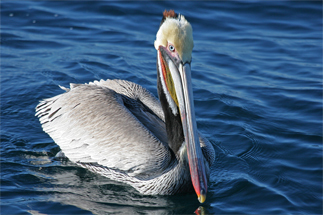 Soon you will be able to view Gregs photographs at wildnaturephotos.com. 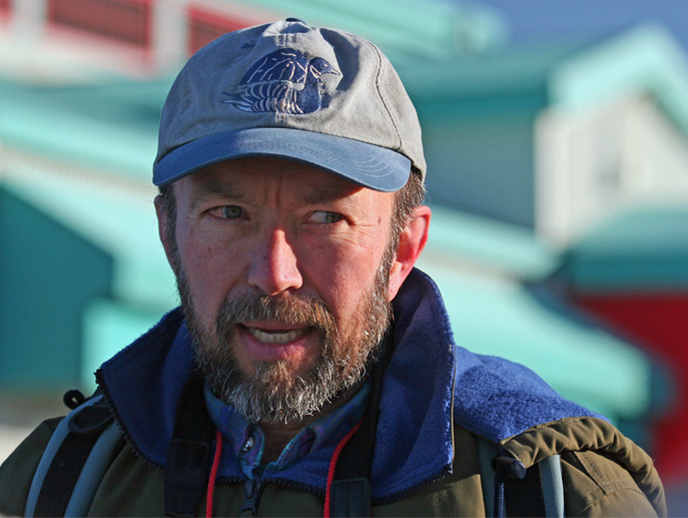 Greg says "In my spare time I enjoy photography, birding and leading natural history tours to Russia, Alaska, the Antarctic and South America. I am a Canon-man all the way, with lens ranging from macro to super telephoto. I feel that the image stabilization built into the Canon lenses and the Digic II processor in the camera bodies make these components excellent choices for photographing nature." When asked how his experience and knowledge has helped him develop a philosophy that guides his photography, he replied "...it has to be natural. I advocate assessing the scene and anticipating where the animal is heading, both of which help you get the 'natural' shot. It isnt necessary to take a photograph if your intuitive feeling is that the setting doesnt satisfy your personal sense of balance, lighting and color. As challenging as it may be, I practice patience until the animal, the lighting, the clouds provide the opportunity to shoot. My wildlife photography goal has been to segregate my results into two categories: one to get a personal, up close feeling of the subject, while the second sets the animal up as a complement to the scenery or its habitat -- neither the habitat nor the animal dominates the photograph. As for our outstanding landscapes, I am always looking for techniques that allow me to shoot the photograph from an undiscovered perspective. Subjects along the Central Coast are unlimited! Stop and look at the insects visiting a leaf, the patterns of sand in a receding wave, or the fog as it envelops one or all of the Seven Sisters. Visit your favorite scenic sites or wildlife viewing areas at different times of the day, whether it is clear and sunny or drippy fog. All of these situations add to the challenge and satisfaction of photographing the Central Coast. 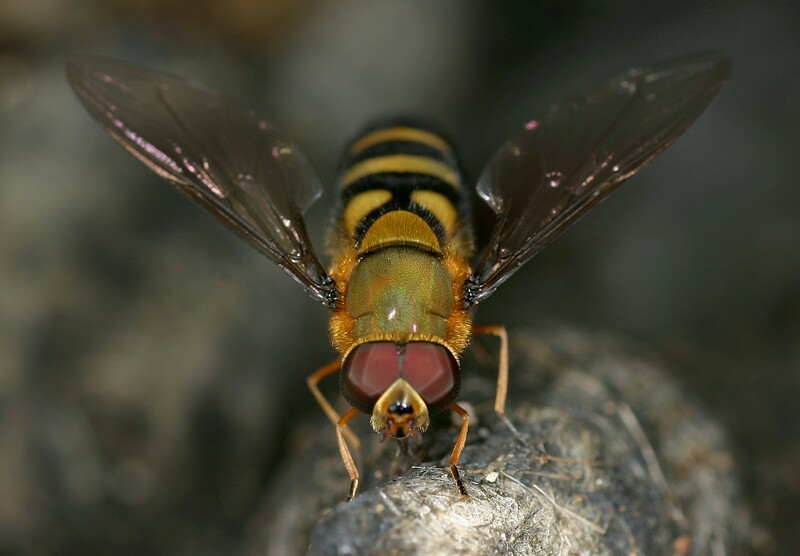 To create my Ecuadorian Fly photograph, I noticed this fly coming repeatedly to the same location, so I moved forward, put myself in a prone position and let the fly calm down and return. 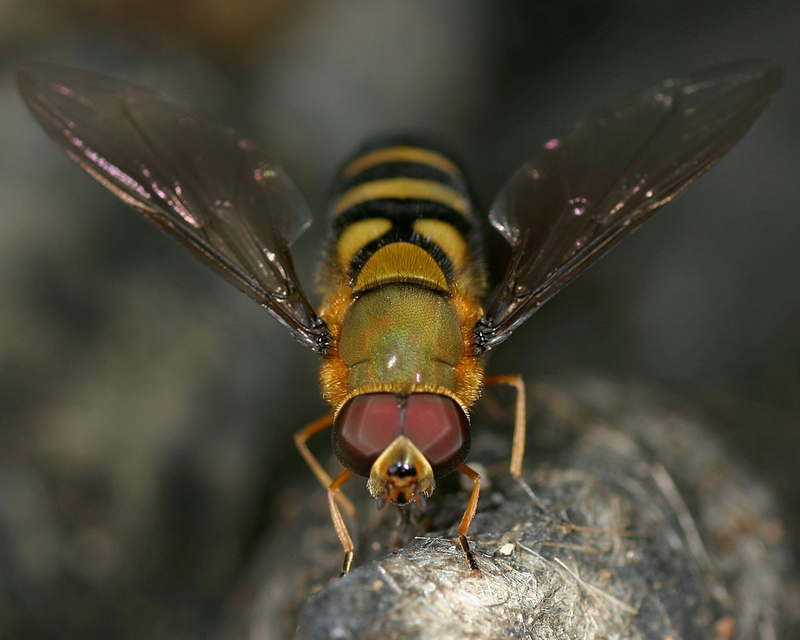 It did, and allowed me to take numerous shots with a 100mm macro f.2.8 lens and an MT-24EX macro twin lite -- all Canon." You can contact Greg Smith at slobird at aol dot com. 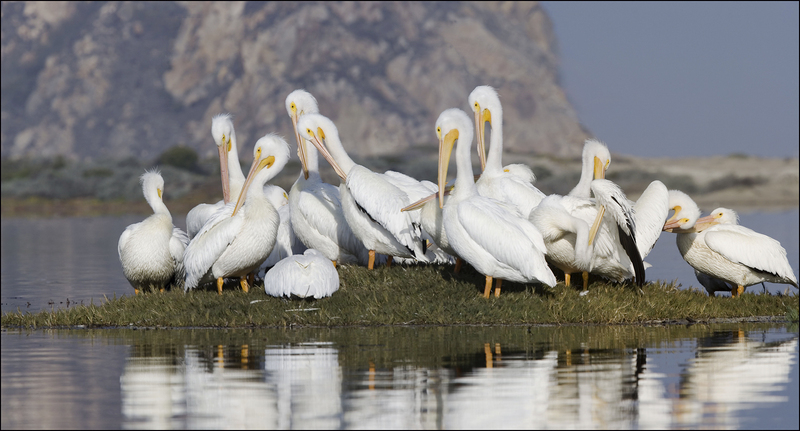 Jerry Kirkhart, a CA State Park Docent, is a retired Biology/Zoology college instructor, and is not new to photography, which has been used in his teaching for over 43 years. However, photography was almost always used only for teaching purposes, with very little thought given to camera settings or post processing, as film was the primary method used before digital. Jerry reasoned that the camera would figure out the best settings. 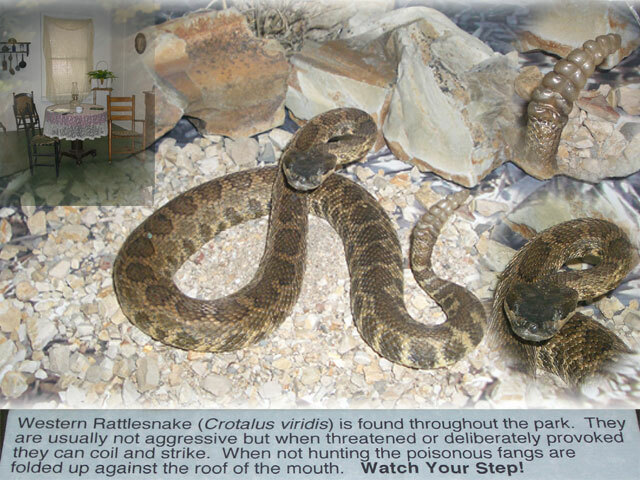 The images used for teaching were processed into slides for classroom use in order to enhance each subject. 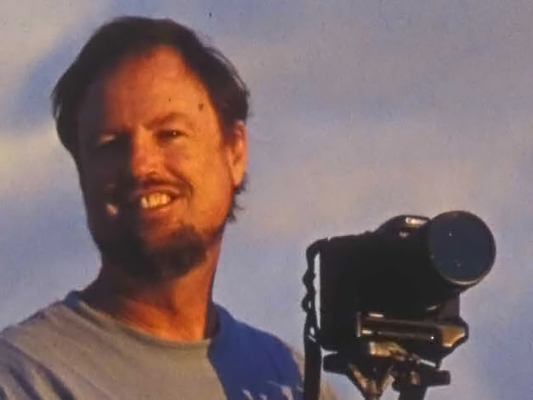 Once retired, in 2006, Jerry's love for wildlife photography, including tide pool photography, turned into a passion of wanting to improve using digital photography techniques. Jerry says "My basic set up is a Nikon D300 camera, with three lenses, an 18-300 mm, 80-400 mm, and 105 mm macro, plus an RRS tripod." 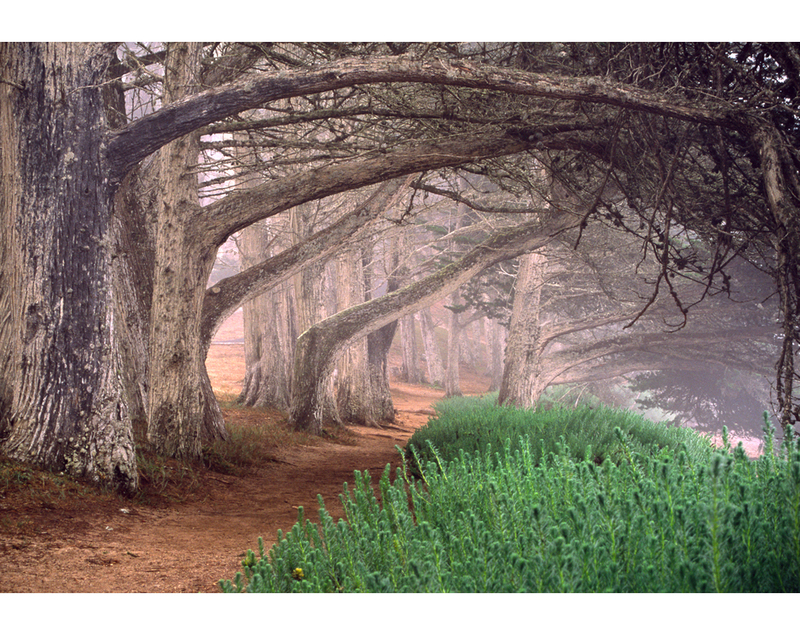 Jerry has been published in Popular Photography and has had his images used on various interpretive panels in places like the Morro Bay Natural History Museum, the Montaña de Oro Ranch House, and a few others. 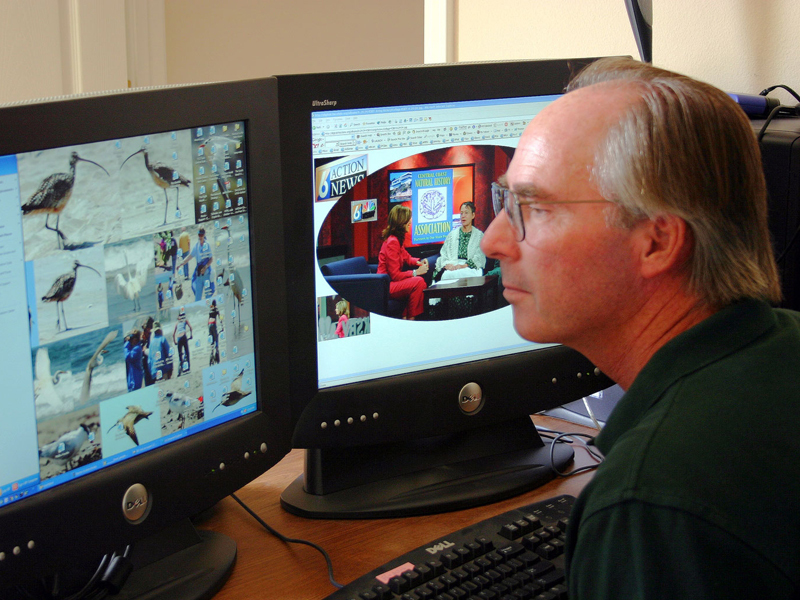 Many of Jerry's images are seen and first discovered on Flickr, and are then are used for academic publications, blogs, and educational sites. Jerry Kirkhart's Flickr site flickr.com/photos/jkirkhart35 includes 3659 images and 91 sets. According to flickr, his most popular image, Mono Lake at Sunrise," shown here, was taken early one morning at Mono Lake, CA. and had 120 favs. The camera set up was for 0.25 sec, f/9.0, ISO 200, +2/3 EV, in manual mode, as Jerry is now telling the camera what to do, and seldom uses automatic settings. He primarily uses Adobe Lightroom for his post-processing. However, very little was done to this image. The color of the sky did not stay the color you see very long, and it looked just like what you see in this image. 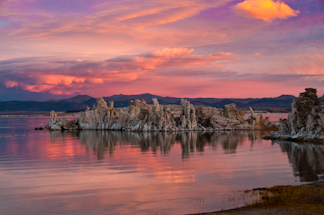 Jerry was concentrating on the Tufa as the sunrise covered the area, and he captured this image when he saw the pink sky and Tufa reflections. Photography is a relatively new hobby for Jerry, but because of his passion for and mastery of photography, he has made many new friends with the SLO camera club, the photomorrobay Yahoo! and Flickr Groups, and the Central Coast State Parks Association . You can email Jerry Kirkhart @ jkirkhart35@gmail.com. 1920x1200 wide-screen wallpaper version Docent Mike Baird interviewed the photographers and edited this article. He is a retired computer scientist, author, and entrepreneur from ask.com, who left Silicon Valley six years ago. He studied photography during the last six years, but considers himself to be a beginner -- especially when compared to the astounding array of talent featured above. Mike says, "I am interested in photography combined with innovative uses of the Internet to educate the public, promote conservation (morro-bay.com), and to facilitate communication within the docent community, and to create and preserve intellectual property associated with docent activities (docents.info). You can find my local nature photos by going to bairdphotos.com. 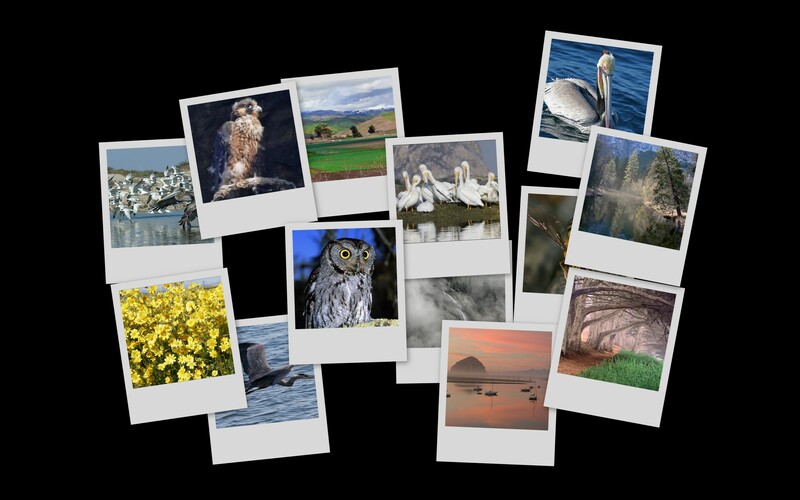 Here, you can learn how to upload and share your own photos online for free. 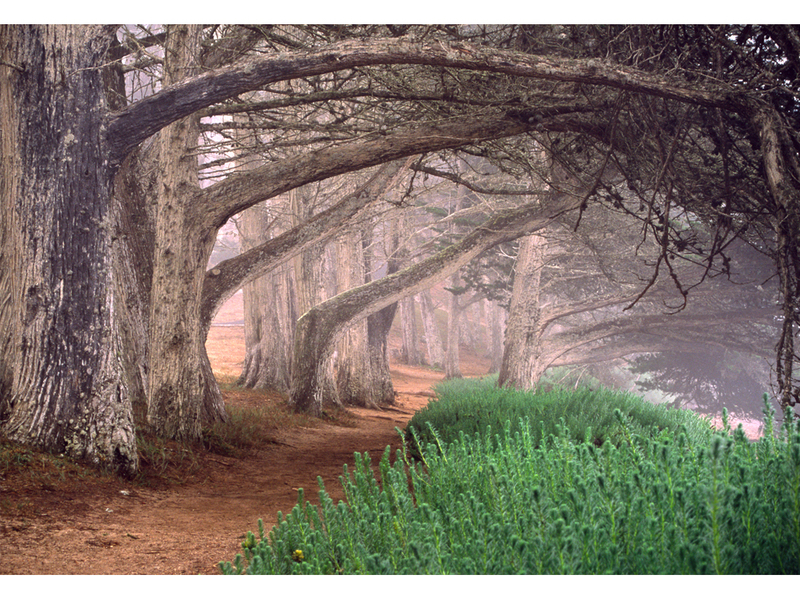 I frequently provide free photographic services and technical assistance to the CA Central Coast State Parks docent community and the CCNHA. No matter how good a photo you take, I think it can be improved and be made closer to reality (or into an artistic distortion of reality, if that is your pleasure), through the use of proper photo enhancement and normalization techniques. Convention dictates that photos 'manipulated' beyond what could have been done in a chemical darkroom of the past, are best annotated accordingly. Improving your technique minimizes the need for enhancements. However, many handheld shots are not going to be perfectly parallel to the horizon; a shot perfectly focused on the eye of your moving subject may, by necessity, be mal-composed by being in the exact geometric center of the frame, but such defects are often easily corrected in Photoshop or similar software. 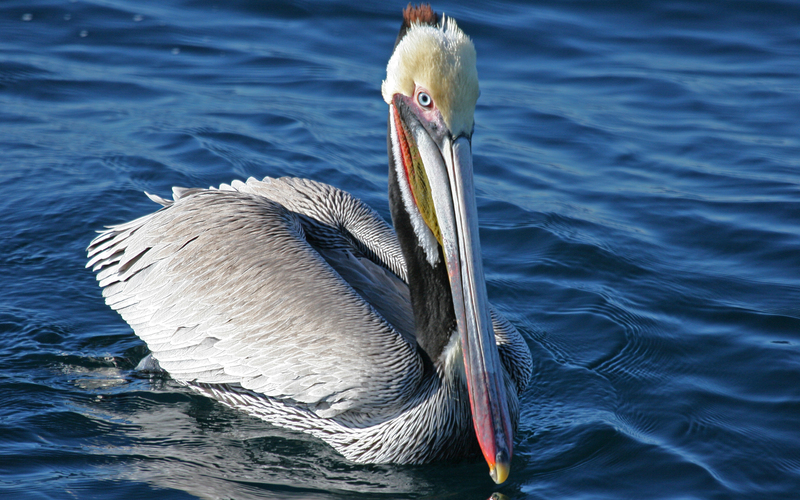 Sometimes you get lucky, as with my photo here, taken handheld from a moving boat, entitled Brown Pelican -- Port San Luis, CA. This 8.2 megapixel photo (3504x 2336) required no cropping or straightening and used every pixel that the Canon 20D camera had to offer. Every serious photographer should acquire Photoshop and learn how to do cropping, basic image contrast and levels enhancement, and sharpening. Computer techniques complement photographic skills, and the sum of the two bests either approach. Shoot using the highest resolution and image quality settings your camera supports (RAW if you have it). Good basic equipment (camera body/sensor, lenses, tripod, etc.) does make a difference. Good equipment does not make a professional, but a professional photographer needs reasonably good equipment. Like many of the other photographers interviewed here, my basic set-up is all Canon -- a 20D or 5D body with either the 100-400mm IS zoom, 300mm f/2.8 IS Telephoto paired with a 1.4X or 2.0X extender, or the 28-135mm IS zoom, and preferably with a tripod or monopod. I recommend that beginning photographers consider the new 10.1 MP Canon XTi camera with EOS Integrated Cleaning System -- around $900." You can contact Mike Baird at mike at bairdphotos dot com. Readers of the printed version of this article in CCNHA Nature Notes are invited to view an electronic version at morro-bay.com/digitalchocolate/howto/, where many additional links are exposed, and where the contributing photographers have graciously made most of their work products, illustrated above, available for you to download for your personal non-commercial use, for example as "wallpaper" on your computer's desktop. Also available at morro-bay.com/digitalchocolate/howto/ are supplemental materials on: How to Take Better Wildlife and Nature Photos; Local Yahoo! 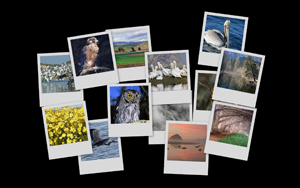 Groups and Camera Clubs; Good Books on Photography; Good Magazines on Photography; Other Online Resources; and How to Upload and Share Your Photos Online. A 38-page 9" x 7" color paperback book based on this article is available to purchase at cost -- $10.23 +$1.91 postage = $12.14 -- at LuLu.com/mikebaird. Visit photomorrobay.com to meet the contributing photographers online. Always have your camera with you and ready to take an opportunistic photo. Be patient and spend more time in the field. For wildlife, get closer, and set focus on the subject's eyes. Lead a moving subject so that there is space in front of it. To the extent that you were not close enough when you took the picture, or in haste you had to set focus at the center of the frame, you can frequently post-process your image and crop it to achieve this effect. 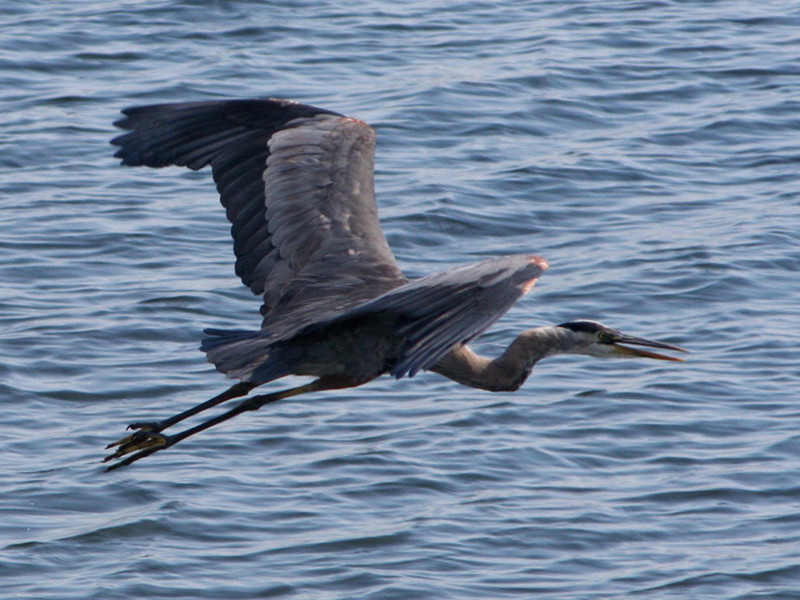 Capture action or movement by using your burst mode to get a sequence of images to pick from. The days of high film costs are over, and it costs nothing but time to take more pictures. Be aware of the background -- does it enhance or detract from your subject? Look for interesting reflections in water. Get the sun behind you -- maximize the light on the "face" of your subject. Use your flash to "fill" shadows, even in bright daylight. Steady the camera with some kind of support (tripod, monopod, tree, strap...). Set your camera to record at maximum resolution and quality -- use RAW if your equipment supports it. Use the optical zoom capabilities of your camera, but forget the "digital" zoom which simply replicates pixels. Shoot small subjects from a low angle... consider a wide-angle lens for effect. 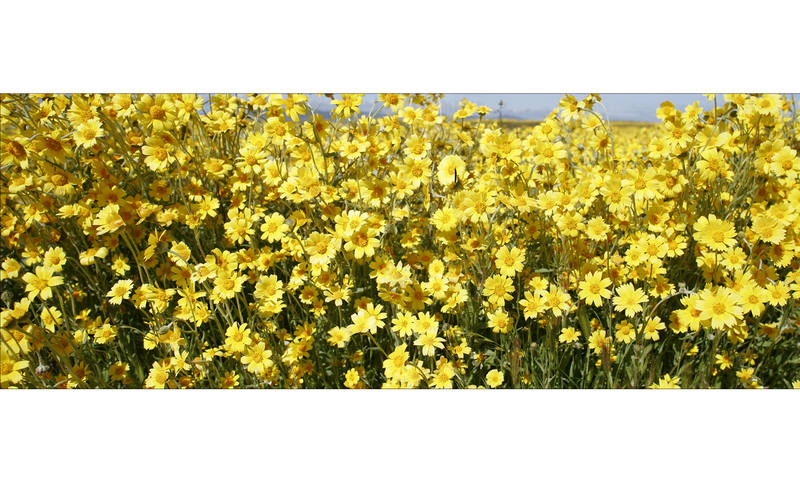 Compose the image into "thirds" so that not all images are centered. Again, you can frequently post-process your image and crop it to achieve this effect. Use "vertical" shots for appropriate subjects. Getting Technical: Use the fastest shutter speed possible. One rule-of-thumb is that shutter speed should be equal to or faster than the ratio one over the focal length of your lens -- i.e., if you are using a 200 mm lens, the slowest shutter speed should be 1/250th of a second. Of course you can overdo it -- shutter speed comes at the expense of depth-of-field (aperture setting) and ISO "film" speed (which will effect graininess). Try to keep the aperture setting at the numerical value of f/11 to f/16 or even higher, and ISO speeds at the numerical value of 400 or lower. Another rule-of-thumb is that shutter speed should be about one over your ISO, so, if your ISO is set to 400, your shutter speed would be 1/400th of a second. Obtaining good depth-of-field, for many scenes, will make the difference between a good shot and a snapshot. The higher you set the f-stop numerical value, the smaller will be your lens aperture opening, and the greater will be the depth if field. An exception -- when your subject deserves to be the central focus of your image, and you want the background to be blurred, shoot it at f/5.6 or f/8. Invest in higher quality camera and optics, and Photoshop software, if you find yourself enjoying photography. Nature Photographers Online Magazine is the official website of the Nature Photographers Network, an international cooperative network of amateur and professional photographers dedicated to the art and technique of nature, wildlife and landscape photography. Learn more about NPN. Upload and Share Your Photos Online at one of the many free or low-cost sites reviewed at morro-bay.com/bookmarks, including picasaweb.google.com and photo.epson.com which allow storage and retrieval of full-resolution images. Flickr.com (now part of Yahoo) and Slide.com also very popular. Professional Photographers may prefer to use services like DigitalRailroad to facilitate communication and negotiations with clients. morro-bay.com/digitalchocolate home rev. 05/09/2007 02:26:54 AM unused materials, list of invited contributors, etc.